We will be closed Friday, April 19, 2019 in observance of Good Friday. We will resume our regular hours of operation Monday, April 22, 2019. We hope everyone has a great Spring and Easter. We always have you, our end user, in mind when updating our Online Pricing Application (OPA). We have made a noticeable amount of changes to improve your user experience. If you haven’t used our OPA in a while we strongly recommend you look again. These improvements are only a few of the many we have made. We urge you to login and discover them all! We are pleased to inform you that Safe-Air Dowco has installed a new in-house paint line. Our New Powder Coat System is currently fully operational. We will be fully AAMA2603, AAMA2604, and AAMA2605 certified by the 1st Quarter of 2019. It means shorter and more competitive lead times per industry standards. Also, as of August 2018, we are again a Sheet Metal, Blue Label Union, Local 73 Manufacturer. We understood that for Safe-Air to remain competitive in the larger markets we needed a union presence and so it was done. Lastly, we know you’ve asked for them and we are working hard to get them to you; 1st Quarter of 2019 we will have our new product line brochures completed. 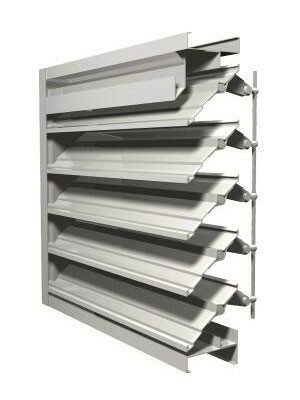 In detail, we will have our entire updated Louver, Accessory, and Damper lines available for you. The same reliable Safe-Air products you’ve come to know and love with an updated new look. High performance adjustable design variation of our patented drainable blade configuration. 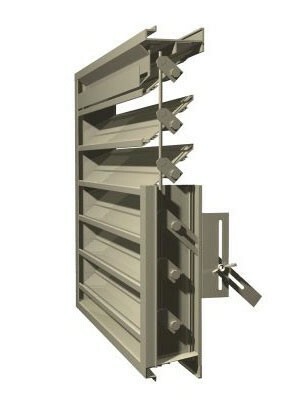 Adjustable feature is useful on systems requiring periodic operation or a means of further deterring the outside element of water penatration, which is made possible when the louver is closed. 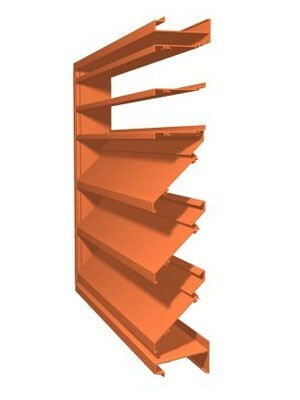 High performance adjustable design to satisfy systems requiring periodic operation. Sound attentuating insulated blades provide a dual function of weather protection and airborne sound reduction. 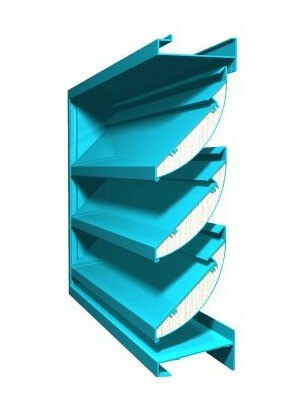 The stepped blade provides additioanl weather protection then our straight blade design.